The Internal Revenue Service revoked NPI’s 501(c)) nonprofit tax-exempt status because the organization failed to file tax returns for three consecutive years, the Los Angeles Times reported this week. The revocation was retroactive to May 15 of last year when the nation’s leading alt-right group’s 2015 tax return would have been due. Tax records for nonprofits and charities are available for public inspection, showing total annual donations and how the money is expended, including salaries. The revocation of NPI’s tax-exempt status brings into question, it appears, any tax-deductible donations given to NPI and claimed on individuals’ tax returns as charitable contributions. NPI’s national visibility grew during last year’s presidential bid of Donald Trump whose candidacy excited the white nationalist views of the alt-right. The National Policy Institute raised $442,482 in tax-deductible contributions from 2007 through 2012, public records show. Its more recent donation totals aren’t available because required IRS filings weren’t done. Meanwhile, authorities in Virginia say Spencer and his National Policy Institute, which has an office in Alexandria, aren’t properly registered to solicit funds as a non-profit in that state. The Times reported Spencer, who became president of NPI in 2011, raised more than $50,000 in donations from an online fundraising drive held during the end of 2016 and the beginning of this year. But as of February, public records maintained by the Virginia Office of Charitable and Regulatory Programs show the National Policy Institute is “not authorized to solicit in Virginia,” the newspaper reported. The Times said when it requested information about Spencer’s group, Virginia “charity regulators removed the entry for the National Policy Institute from their public database of nonprofits and began a review, which remained active” this week. 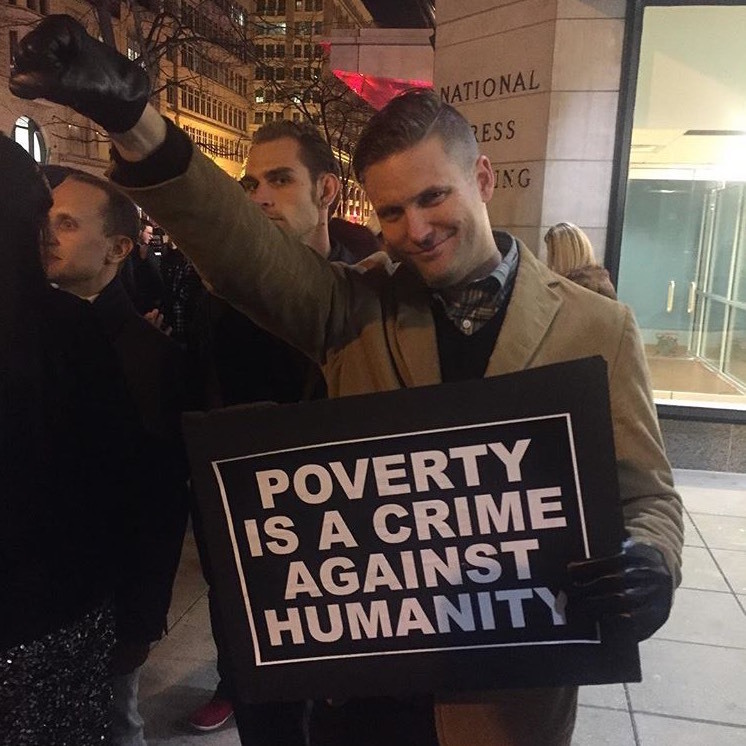 Spencer is viewed as a key founder of the alt-right movement, whose followers variously voice support for anti-Semitism, white separatism and European-Aryan supremacy philosophies also promoted by such groups as the Ku Klux Klan, the Aryan Nations and assorted neo-Nazi and national socialist groups. After Trump’s election, Spencer addressed the National Policy Institute’s annual conference in December, concluding by shouting, “Hail victory. Hail our people. Hail Trump!” Attendees responded with Hitler-style Nazi salutes. There is no mention of the development on Spencer’s alt-right web site that he launched on Martin Luther King, Jr.’s birthday in January. The alt-right figurehead, who splits his time between Arlington, Virginia and Whitefish, Montana, has told reporters he will appeal and attempt to restore his group’s tax-exempt status.